Setting up a flow cytometry experiment can be a complicated process. The good news is that some flow cytometers make the entire process easier for you. These cytometers take advantage of special calibration beads that automatically optimize the instrument’s channel voltage settings and special compensation beads that automatically compensate your experiment. There are also cytometers that have advanced software packages that automatically start up and shut down the entire instrument for you. Some even contain automated cleaning cycles that are built in. These systems will continually monitor your buffer, reagent, and waste levels. They’ll also allow you to control the status of the system with the touch of a button. Autolabeling can drastically reduce the amount of time you spend pipetting and setting up your experiment. Autolabeling can also dramatically decrease the amount of pipetting error that is introduced into your experiment. 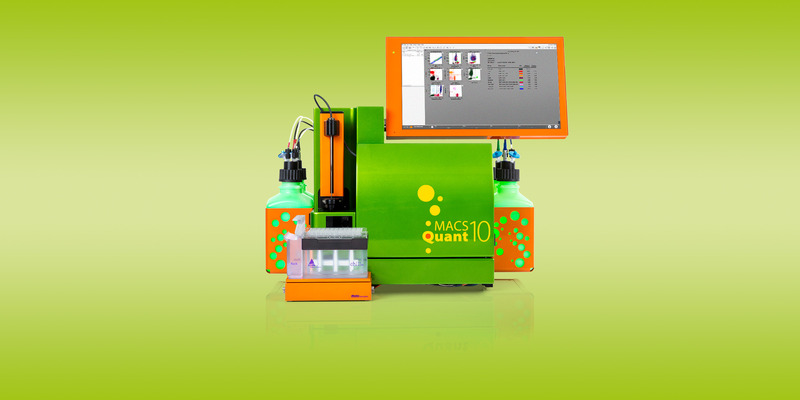 Currently, there is only one cytometer on the market that offers this powerful feature. If you’re lucky enough to be able to autolabel your samples, then you know how much time it saves. To autolabel your samples, all you have to do is scan your reagents using the instrument’s barcode reader. Whether you’re using fluorochrome-conjugated antibodies, cocktails, or fluorescent dyes, the software will automatically identify and execute the correct staining protocol for you. A few flow cytometers offer accessories that allow you to run 96-well plates instead of tubes. This can be a powerful advantage to anyone who wants to run multiple samples in a short amount of time without having to change out the tube every time. The key is making sure that the accessory you use to run your plates is properly integrated into the instrument itself. Don’t make the mistake of using accessories that are not properly integrated and offer inferior fluidics that increase sample carryover. Instead, try to use instruments that have 96-well processing properly integrated and offer high-end fluidics and a sample carryover of 0,01% or less. There are a new class of flow cytometry antibodies that are recombinantly engineered so that you do not need to incubate your cells with Fc-block. These antibodies have specifically mutated human IgG1 Fc regions, which virtually eliminate unspecific binding to Fcγ receptors. They’ve also been carefully selected so that each antibody clone has the best possible binding affinity and the highest possible specificity. Using a flow cytometer with a yellow laser can simplify your experiment by allowing you to better resolve multiple fluorescent proteins simultaneously, including mCherry, DsRed, GFP, YFP, CFP, etc. The main advantage here is being able to better detect red fluorescent proteins and to optimally excite PE and PE tandem dyes. With the right yellow laser flow cytometer, you can detect up to 5 fluorescent proteins at once, without having to run multiple experiments or even multiple tubes. There are a few acquisition software packages that offer time-saving express modes for different types of flow cytometry experiments. These express modes allow you to bypass the majority of the experimental setup processes you would normally have to go through, including sample gating. A key benefit here is that you can quickly and accurately reproduce the same experiment over and over again with minimal error. You can then export your data and further analyze it with your analysis software. If you use the right analysis software, you can create templates that match these express modes and save even more time.